I’m in the weeds right now, so here’s an oldie! I picked this solo back at NAU in 2000. 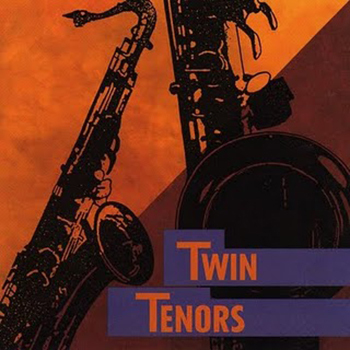 It comes from Bob Mintzer’s tribute record to the Tenor Sax, Twin Tenors. This is a killer 90s record that showcases Mintzer performing some of his most creative solos. And to add to the treat, he’s being backed by Don Grolnick, Michael Formanek and Peter Erskine with Michael Brecker as a guest soloist on a few tracks (two of which I’ve picked and plan to post). Unfortunately, I think its out of print now, but hey, this is the age of the internet…I’m sure you know what to do about it. “Giant Steps” is often built up as one of those looming hurdles in the development of a jazz musician that everyone must eventually clear. It was always getting called at the jam sessions – usually as a joke or a dare. It has challenging changes built of chords moving in 3rds and 4ths while the keys descend in Major 3rds. And those key changes happen on beat 3, rather than on any rhythmic landmarks. The melody is odd and intervallic, and while simple, is not particularly catchy except to the legions of jazzers who’ve dutifully committed it to memory. And to top it off, it usually moves at ludicrous speed when performed. Really, its a very odd duck. But despite this, John Coltrane’s tune has become a test of a modern player’s mettle…for better or for worse. It comes as no surprise then that Mintzer, looking to pay homage to the legacy of the Tenor Sax, included this tune not once but twice on Twin Tenors. I’ve transcribed “Version 1” which features a blazing, pattern-oriented solo by Michael Brecker bearing a strong resemblance to the original Coltrane performance, and a more abstract, highly rhythmic solo by Bob Mintzer that demonstrates a more conceptual approach to the tune. The contrast between the two interpretations is really remarkable. Michael Brecker’s solo is built from the same “digital patterns” found all over Coltrane’s solo. The 1-2-3-5 pattern is here. 5-3-1-5 is here. Lots of fragments of the bebop scale show up. And a wide variety of arpeggios and passing bebop vocabulary saturates the rest. Its a remarkable feat of dexterity, even though it stays pretty close to the traditional approach to “Giant Steps” Coltrane gave to us in 1959. Its also notable that Brecker, who is renowned for his incredible harmonic vocabulary and rich palette of substitutions, keeps it pretty inside. This is a true testament to the difficulty of the song. The only consistent alteration can be seen over the C7 chords, where he is most likely using C Super Locrian (C Db D# E F# G# Bb). This isn’t surprising, as tunes with exotic chords like these often seem muddled when you push the harmonies too far. In fact, a bit of wisdom can be drawn from this – don’t alter alterations! At least, tread lightly. Altering already-dissonant chords and substitutions can actually reduce tension, weakening the line. In this tune’s case, its more like, altering chords that are already complex makes the line less clear and can fool the listener into hearing the wrong portion of the tune. Notice how close C Super Locrian is to Db Major? Using this sound too much can actually rob your line of the intricacy of the progression. Practice 1-2-3-5 patterns and other number-derived ideas. Work a variety of these through the progression until you can switch between them with relative ease. Beware though…this can lead to lots of senseless repetition. You’ll have to maintain focus and not let the tempo take control. And even if you do, this formulaic approach will often come across contrived. Strive for variety and always let your ear and instinct prevail over formulas. A more free approach to this same concept would be to take the shapes of the idea and practice manipulating it through chords. An example might be the same 1-2-3-5. But now play it from all scale tones, getting used to the subtle change in intervals occurring on each step. Then move according to inspiration rather than simply recreating the exact pattern’s structure on the next chord. So 6-7-8-3 or 3-4-5-7…6-#4-3-2 anyone? Mintzer’s solo seems to come from a more original place. While still nailing the changes, he spends much of the time abstracting the rhythms of the tune. He almost seems to play like a drummer…percussive rhythms, over-the-bar phrasing and hints of hemiola sneak in throughout. I love the strength of his themes. Take the opening 4 bars for instance. The quarter-note phrase endings in bars 1, 2 & 4 give a sense that each chunk is part of a bigger idea. Often, on a tune this challenging and this fast, pre-fabricated ideas take over leaving little room for inspiration. Mintzer has avoided that here by using simple ideas that can be easily moved around. And then he executes flawlessly! One more particularly interesting moment is the second half of chorus O. Notice the pentatonic bit beginning on F∆7 in measure 330? He then begins shifting the idea up more-or-less in half steps to finish out the chorus. This is a great example of letting the idea lead the way. Even when its not completely “inside”, it still comes across because of the strength of the line and the repeated shapes and rhythms. There’s so much great stuff in this one! It was a blast comparing the two different approaches to this tune. And that’s not even counting the incredible Don Gronick piano solo that I didn’t pick here. Hopefully this gives you some new insights into how to attack this beast. This entry was posted in Jazz, Practicing, Transcription. Bookmark the permalink. Man Mr. Roberts. You are a beast at transcribing this song. This song seems very intense and mind twisting at the same time. Hopefully I will find one of Micheal Brecker’s songs so I can transcribe. I am really diggin’ African Skies. I like the solo he does there. Anyway, I wanted to ask you what is it that one should transcribe. Is it the whole song? or the melody? or the solo itself? Get back with me. Thanks and congrats on gettin this song down. Amazing transcription and great analysis. Thanks! Don’t know how I missed your post, but this is obviously really old news now. As far as transcription advice, I would memorize at least a few full solos, but you don’t always need to transcribe all of every solo you like. Sometimes, there’s only a few moments that stick out. Its ok to just focus on those. Glad you liked it. This was a beast! Just starting transcribing Brecker’s solo this morning and came across this article as I was interested to see what other people say of it. Good analysis, Yes the two approaches are contrasting, dunno when I’ll get to Minter’s solo! You should transcript Micheal Brecker’s solo in Night In Tunisia. Great solo.